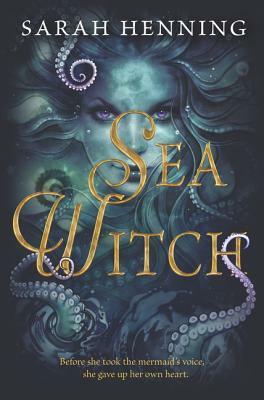 Wicked meets "The Little Mermaid" in the captivating origin story of the sea's most iconic villainess, perfect for fans of Heartless and Dorothy Must Die. Sarah Henning is a recovering journalist who has worked for the Palm Beach Post, the Kansas City Star, and the Associated Press, among others. When not hunched over her computer, she runs ultramarathons, hangs out with her husband, Justin, and goes on absurdly long walks with her two adorable kids. Sarah lives in Lawrence, Kansas, hometown of Langston Hughes, William S. Burroughs, and a really good basketball team. Sea Witch is her first novel and is followed by Sea Witch Rising. You can visit her online at www.sarahhenningwrites.com. “This spin on “The Little Mermaid” is full of plot twists and heart-in-throat action.